Here we are on the home stretch of my Goodreads reading challenge books. Here are books 31 - 40. I'd been dying to read this book for a while and was overjoyed when I finally found a copy in my library, which I borrowed straight away. I'd heard from quite a few people about how good this book was, so was rather looking forward to reading it. The story follows the lives of three different people, who's lives are intertwined. Hallie is in love. He's perfect for her in each and every way, but it could never happen. Her friends won't help her as they know that Hallie doesn't have long to live. Flo really likes Zander but his sister is standing in the way of their blossoming relationship. Tasha's new boyfriend is an adrenaline junkie and she is worried that one of his adventures will soon go badly wrong. The book begins as a donor has been found for Hallie. She is going to be receiving new lungs, but whose? This story gave me a lot to think about regarding organ donation. It really struck me how important it is and because of this book I signed up to become an organ donor right away. The stories of all three characters each got to me and I admit I was sobbing come the end. 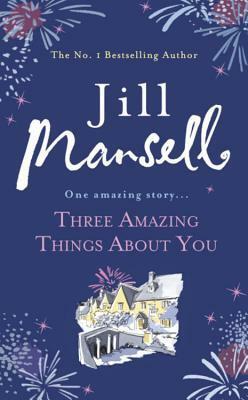 This was the first book of Jill Mansell's that I'd read and I will certainly be reading more. 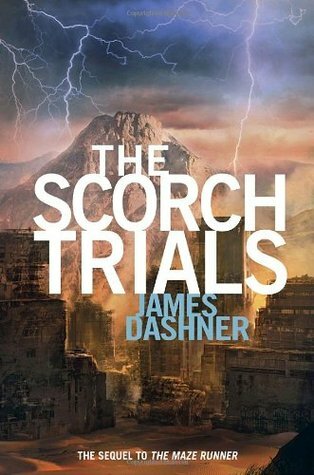 I'd read The Maze Runner about a year before, and with the release of The Scorch Trials movie coming up I knew I'd have to read the book. 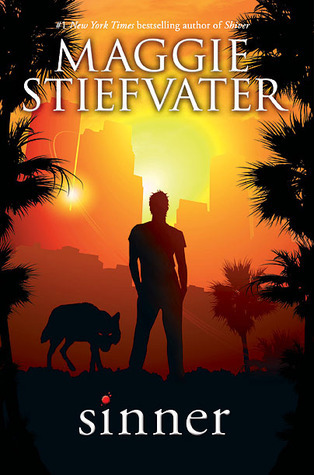 The book takes off just after the events of The Maze Runner, Thomas thought his ordeal would be over, but he was wrong. WICKED have moved them into phase two - The Scorch Trials. Thomas and the gladers have two weeks to cross the intense heat of The Scorch and make it to the safezone. However, WICKED have made sure to make it as hard for them as possible. They soon meet others and their survival depends on the destruction of the Gladers. I love a good dysptopian novel and I enjoyed The Scorch Trials a lot more than The Maze Runner. There was more action, more character progression and the plot really intrigued me. I was left thinking and wondering moments after I turned the last page. It's certainly a great follow on to what was a great first book. Stargirl is a book all about non conformity and learning to love yourself despite others. From the moment she arrives at the normal school of Mica High in a hive of colour and sound, hallways and classrooms hum 'Stargirl'. She manages to capture Leo's heart with just a slight smile. She sparks a school revolution with one cheer and soon she has enchanted everyone she knows. Until one day when things come crashing down. Leo tries to encourage her to be 'normal', which in her eyes could surely destroy her. This was a short, sweet read that really touched me. 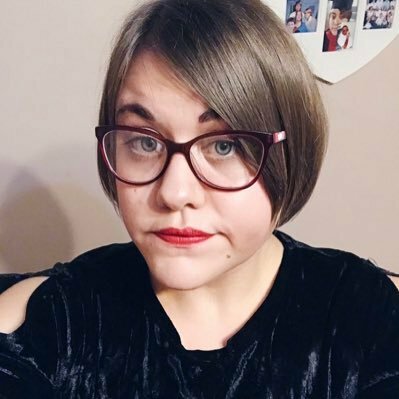 The lesson to this story is to love yourself and not care what other's think. It's about embracing all your 'flaws' and learning to love them. 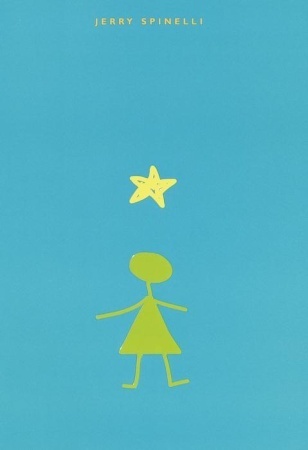 I also admit I found myself wanting to be Stargirl once or twice through reading. 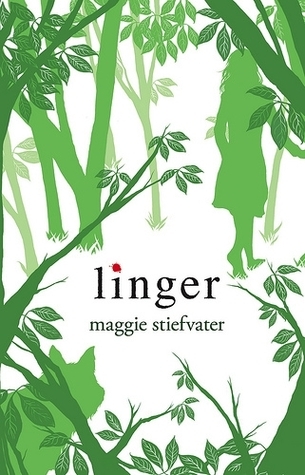 Linger is the second book in The Wolves of Mercy Falls series and I was so looking forward to reading this as I loved Shiver. Now that they have found each other, Grace and Sam must find a way to fight to stay together. For Sam this means confronting his werewolf past and for Grace this means facing an uncertain future. Soon a new wolf called Cole comes crashing into their world. He is wrestling with many demons whilst embracing the life of a wolf and also denying the ties of being human. For all three of them life is a struggle between two forces, wolf and human. As their worlds begin to fall apart, love is the thing that lingers, But will this be enough? I was so happy to be back into the world of Sam and Grace, and I enjoyed every moment. I also loved the character introduction of Cole, who despite all his flaws and demons, I fell in love with. This had everything I wanted in a sequel and I knew that I'd found a new favourite book series. I'd never read this classic before, so though is high time that I did. 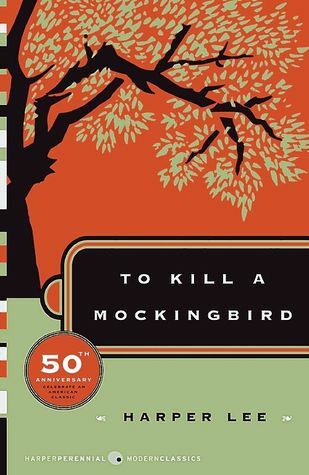 Most people know the story of To Kill a Mockingbird. It's a story of compassion, love, kindess, cruelty, racism and sexism. It deeply moved me and made me realise how different things were in older times. I won't go into much detail about this book as it is so highly known, but I now know the reason why it's a classic and I won't ever doubt that. I borrowed The Colour Purple from my Mum, who had insisted that I read it, so following her advice I did. Celie is the protagonist of this amazing tale of growing up as a person a colour in 1930's. Her story is told through a series of letters, first to god and then later on to her sister Nettie. As an abused, uneducated woman, who was only ever shown love by Nettie the letters are Celie's way of expressing herself. 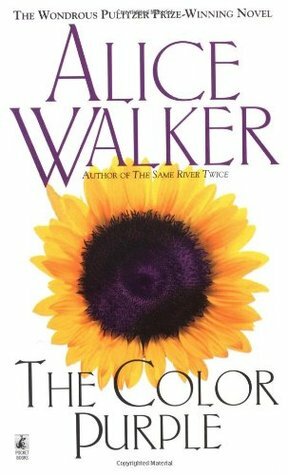 This book really deeply touched me, despite all the abuse she went through Celie still had so much love in her heart. I also loved the amount of strong female characters in this book, showing us that woman do have power. If you are looking for a read that will touch you emotionally in ways you haven't before, than The Colour Purple is the book to read. 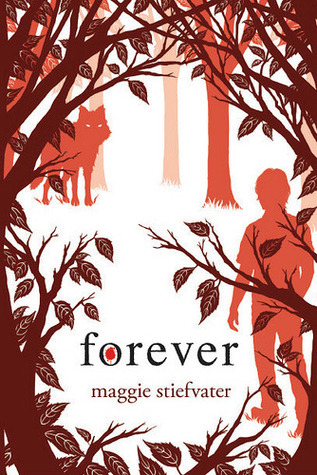 After loving Linger, I couldn't wait to read the last book in The Wolves of Mercy Falls trilogy - Forever. When Sam and Grace first met, he was a wolf and she was a human, and their loved moved for curiosity to a shared life. Now Grace is the wolf, and the wolves of Mercy Falls are about to be killed in one final hunt. The past, present and future are about to collide in one pure moment of life or death and farewell or forever. This was the perfect book to end the trilogy on. It was action packed, full of excitement and gasping moments and you end up so immersed in the action and love that you don't want to put it down. I loved this series and I can promise you now that I will be reading it all over again in the future. 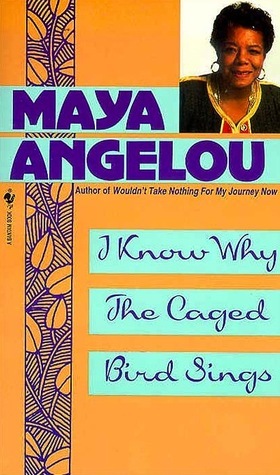 I Know Why the Caged Bird Sings is the first in the series of autobiographies by Maya Angelou. I don't usually read autobiographies but after hearing snippets about her life, I just knew I had to read it. Sent by their mother to live with their grandmother in a small southern town, Maya and her brother Bailey endure prejudice by the local white community. At eight years old, whilst living with her mother, Maya is raped by a man twice her age and has to learn to live with the consequences of the attack for a lifetime. Years later, Maya soon discovers that the love for herself, her spirit and the ideas of great authors will allow her to be free. Maya Angelou is one inspiring woman, I was so inspired by her story and it was only the first instalment of her autobiography. I am so looking forward to reading the others and hearing more of her incredible walk through life. This book had been recommend to me several times, so I knew from all the hype and great reviews that I had to read it. This follows the story of Finch, who is fascinated by death and constantly thinks of ways to kill himself and Violet, who lives for the future and who is counting down the days till she can escape her hometown and the aftermath of her sister's death. When Finch and Violet meet on the top of the school's belltower it is rather uncertain who saves who and when they pair up on a school project shortly after a relationship blooms. With Violet Finch can be himself a funny guy who is in noway a freak and with Finch Violet can forget about counting down the days and start living them instead. However, as Violet's world grows, Finch's begins to shrink. This story is intense and gripping and deals with the harsh realities of depression, grief and suicide. It really makes you think and I can guarantee by the end you will be so emotional that you won't know what to do with yourself. 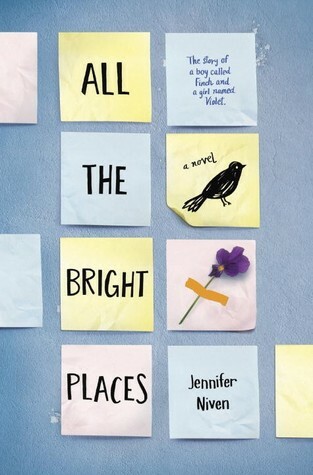 This a great debut novel, and I cannot wait to see the movie when it is released. Sinner is an add on book to The Wolves of Mercy Falls series and it follows Cole St Clair and Isabel Culpeper. Cole has come to LA for one reason - to get Isabel back. She fled from his damaged life, causing even more damage. He doesn't want her, he needs her. Isabel is trying to build a new life in LA, however it's really not working. Cole and Isabel share a past, but can they share a future? They have the power to save each other, but also to tear each other apart. Only one thing is certain, they cannot let go of one another. It was great to have story about these two characters, who I'd grown to love throughout the series. I loved reading about their fiery relationship and throughout the book I was screaming at them to just admit their feelings and be together. It is the perfect add on and all fans of The Wolves of Mercy Falls series need to read this. So there you have it, all 40 books. I've had a great time reading them all, and for 2016 I am going to be aiming to read 50 books, and of course I'll be talking about them.